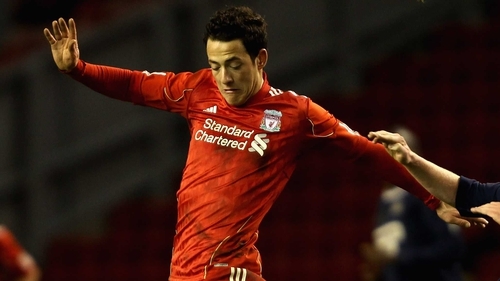 Dundalk have signed former Liverpool midfielder Krisztian Adorjan on loan until July from Italian Serie B outfit Novara. Adorjan, a former U-21 Hungarian international, was sent on loan to Albanian side FK Partizani last summer 2017, and comes in to strengthen Stephen Kenny's panel a fortnight out from the Airtricity League Premier Division kick-off. He was snapped up by Liverpool back in 2009 as a 16-year-old after catching the eye at MTK Budapest, playing in the same U21s team as Adam Morgan, who joined Sligo Rovers last month. From Merseyside he went to the Eredivisie, scoring three goals in 18 games for FC Groningen before going to Italy. He's already flown out to Spain to link up with his new team-mates on their pre-season trip. At the start of January, Kenny captured Lithuanian international Karolis Chvedukas. The energetic 26-year-old midfielder played against England and Scotland during his country's 2018 World Cup qualifying campaign (they finished second bottom in Group F) and has been capped 19 times. He signed from Lithuanian champions Suduva.